Only for Full Access subscribers. Bulk subscription offers. Get your company in. Support The Ken. Support great journalism. To your colleagues and friends. Share the love. Kenrise Media Pvt. Ltd. Cabin B, 63/3, 3rd Floor, Arham Towers Off K.R Road, AK Colony, Jayanagar. Bangalore – 560082. By registering, you will be signed-up for an account which gives you access to a free story published once a week and archives of all our free stories. You will also receive a daily newsletter sent to your inbox. To unsubscribe, please visit the profile section in your account. Almost done. A confirmation email has been sent to 'Email Address'. Click on the link in the email to activate your account. Looks like your account is already active. Check your inbox for instructions to reset your password. The Ken publishes one original, analytical and well-narrated story from India every week day for its subscribers. From technology, startups, business, science & healthcare. Sorry, our free subscriptions require a real email id, because that's how we send you our daily stories. Please enter a valid email. Are you sure you want to delete ()? Thank you. We have received your request to post comments. You’ll hear from us soon. Are you sure? Canceling automatic payments cannot be undone. You might lose renewal discounts too. Automatic payments successfully cancelled. You will not be charged again. Are you sure? Canceling automatic payments can not be undone. Gift this story to someone. As a premium subscriber, you can now share a limited number of individual stories with non-subscribers. We limit monthly gift credits per subscriber. Because subscriptions are what powers our journalism. 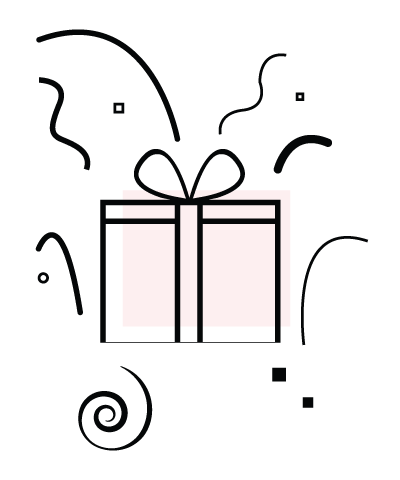 Your gift credits will be replenished on the 1st of every month. Unused credits expire each month. If you want to buy some more, tell us. Your email’s on its way! We’ve emailed your gift link. Want us to send some more? How many gift credits do you need? We have successfully received your request. Someone from our team will contact you soon. The Ken has gifted you this subscriber story. This story is exclusively for The Ken’s premium subscribers. Our subscriber The Ken has gifted it to you free of cost. To read it instantly, enter your email id to register with us. Once you’re done reading, perhaps drop The Ken a note? We’ve added an exclusive benefit for our premium subscribers. No results found for Ken. Get free access to 187 stories, instantly. Register for a free account. Get a free story every week, and unlimited access to all the free stories we’ve ever written. Sounds good, right? "An article from The Ken has become an intrinsic part of my daily news diet." As a part of the Learning and Development program at Myntra-Jabong, you have complete access to 300+ original daily stories over the next year, 500+ previously published stories and our comment sections. Also, do keep an eye out for our exclusive subscriber-only iOS and Android apps which will be rolled out for you shortly. Congratulations. Your subscription is activated. You have complete access to our daily stories and our archives for the next one month. You can now invite your friends and send them an exclusive, all-access subscription for The Ken for a month. For free. Because we love our subscribers. Spread the love. Oops! The invites ran out here too. You can still grab the last remaining few, but only from our existing subscribers. Give us a shout out with #TheKenTurns2, and we'll see if we can find you one!